Senate President Bukola Saraki has explained why the senate did not confirm Ibrahim Magu as chairman of the Economic and Financial Crimes Commission (EFCC). 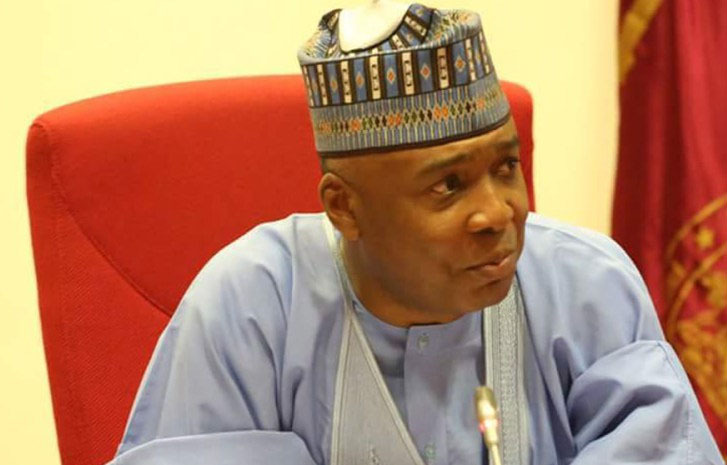 Saraki gave the explanation on Monday at the orientation programme organised for senators-elect and house of representatives members-elect ahead of the inauguration of ninth national assembly in Abuja. The country’s number three citizen said having rejected Magu’s nomination on more than one occasion, President Muhammadu Buhari should have nominated another person for the position. The senate had repeatedly rejected Magu’s nomination after he was said to have been indicted for infractions by a report of the Department of State Services (DSS). But Saraki said there is always “the need for political solution and dialogue” to solve such issue as Magu’s confirmation. “In the case of the appointment of the chairman of the EFCC, the powers of the Senate are very clear in the constitution. For any nominee, we are guided by the constitution. It is an appointment made by Mr. President, subject to the confirmation of the Senate, which means the Senate has the powers to either say yes or say no,” said the senate president.